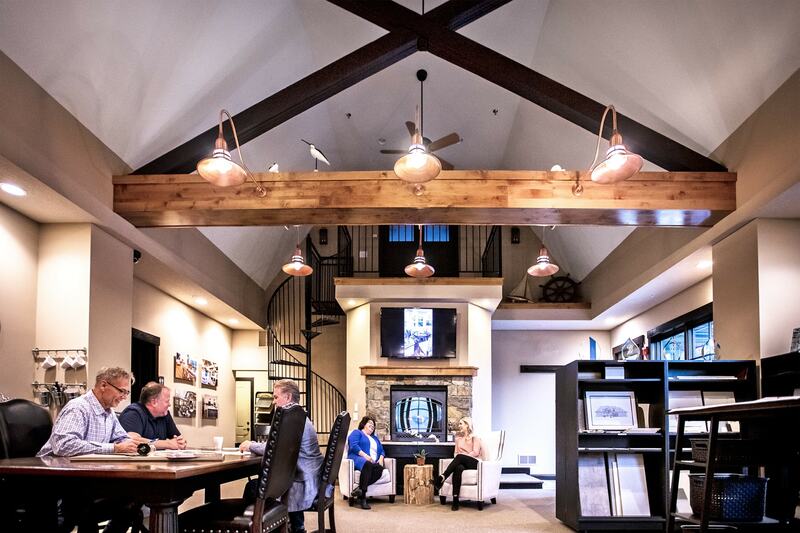 An important part of the design process is a visit to the Pillar Homes Design Center. Conveniently located in Plymouth, MN, the Design Center provides a creative setting and relaxed atmosphere for selecting products or discussing key decisions with K.C. or the design team. The Design Center features a variety of touchable products, samples and colors, as well as unique implementation techniques that help our clients visualize life in their new home and begin the selection process. Our strong commitment to personal guidance helps to ease stress during active periods and we find that it keeps construction on schedule - resulting in a more relaxed, enjoyable building experience. © Pillar Homes Partner. All rights reserved.